The Positive People team have been getting creative by teaming up with Apex Laser Ltd in Torquay. 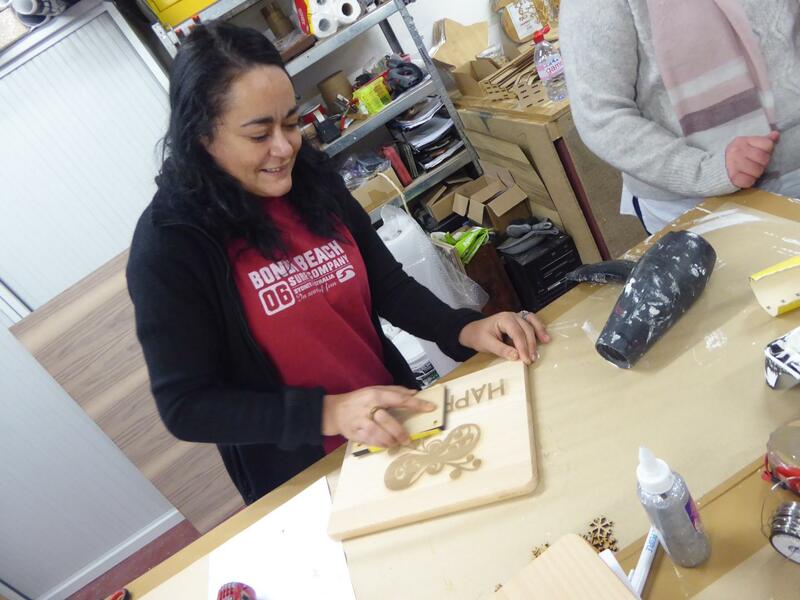 Together, they ran a laser wood cutting workshop where participants of the Positive People project were given the opportunity to design, make and decorate woodwork to take home with them. 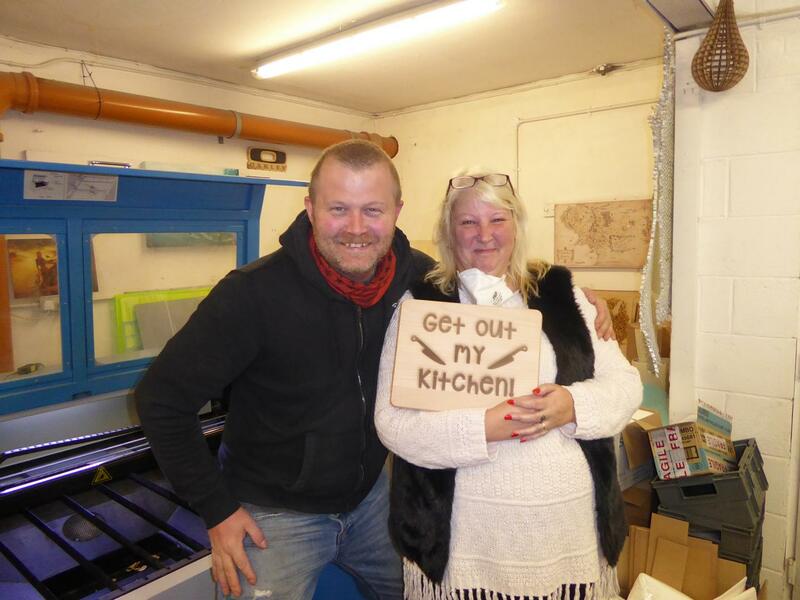 Ace and his partner, who run the Apex Laser Ltd Business, helped participants to turn their drawings into digital designs that were then scored and cut by the laser cutter. Participants could then choose to decorate their woodwork with paint or leave it unpainted with its authentic burnt wood effect. For those, who like many of us, have a tight budget at Christmas, this was an excellent opportunity to create a personal and handmade gift at no cost. Many of the items produced were intended to be given as gifts to loved ones or used to decorate their houses. Thanks to funding from the Big Lottery Fund and the European Social Fund, Positive People could give people a chance to get festive without the need to spend. Michael Devonald, who also took part in the event, spoke about the benefits of the workshop, saying “Another great idea! Really creative and thoughtful session. Well organised and run. Another opportunity for people to bond”. Emma, from Cosmic, says, “We saw a massive impact on the confidence or those taking part in this workshop as participants were able to learn new skills, meet new people and experience something they had never had the opportunity to do before. The workshop really brought out the creativity in everyone and it was great that they all got to take something away at the end of the day beyond the gifts they had made”.